Until now, oxygen concentrators have been very similar – heavy, bulky, noisy, or requiring frequent maintenance. 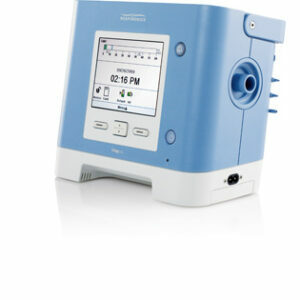 EverFlo from Philips Respironics is a unique stationary or at home oxygen concentrator concentrator that delivers. 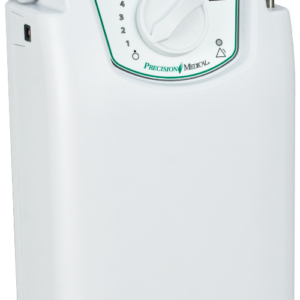 The stylish, compact design of the EverFLO Stationary Oxygen Concentrator allows it to fit easily into any room without being an eyesore. It also features 4 wheels on the bottom of the machine that make it easy to move around in any setting. At an operating noise level of 40 decibels, it is as quiet as most normal household appliances. 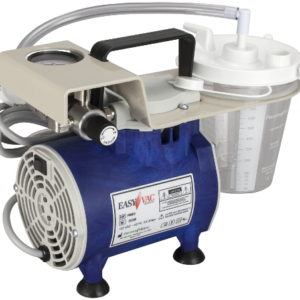 The Respironics EverFlo is a home oxygen concentrator that delivers up to 5 LPM of continuous flow oxygen in a quiet unit that weighs around 31 pounds. The design features of the EverFlo combine quiet operation, compact design and low maintenance into a single unit. 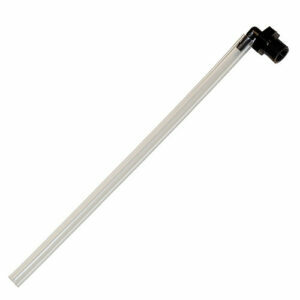 It delivers around 90 to 96 percent of oxygen concentration with liter flows that range from 0.5 to 5. It also produces less heat than other home concentrators and requires less electricity to operate, reducing your operating costs. There are only 2 filters to replace, so there is minimal maintenance required on this unit. 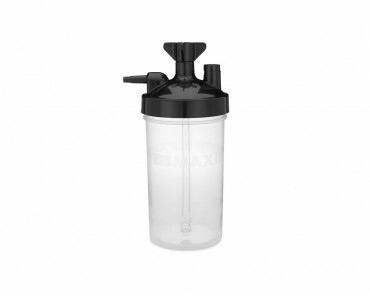 PM60 EasyVAC Suction Unit is high performance, convenient and reliable. 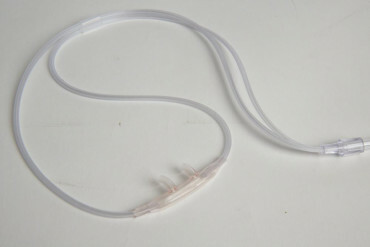 It can be used to clear airways from secretions and prevent infections. Provides noninvasive/invasive ventilatory support w/ added sensitivity for a range of adult and pediatric patients, >5kg. Advanced flow triggering is ideal for patients who require enhanced inspiratory triggering and leak compensation. 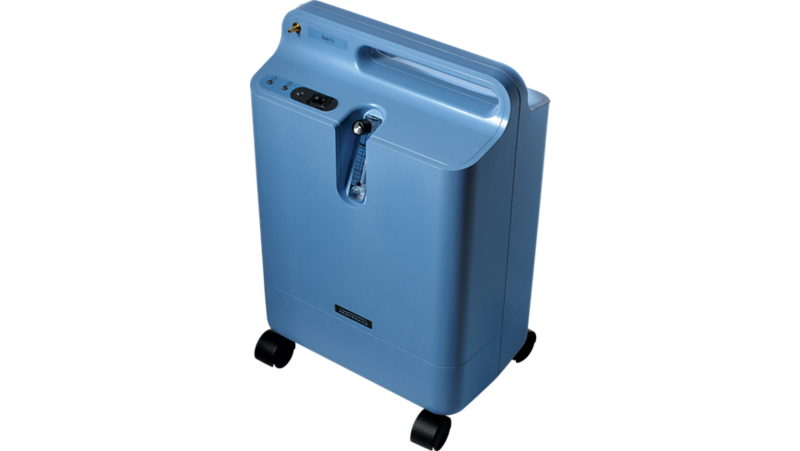 The EasyPulse POC-5 Portable Oxygen Concentrator is a no-frills medical oxygen concentrator. Has a simple user interface, just turning the knob or pushing a button sets the oxygen flow, an easy to read battery level indicator and an alarm LED are also included. AC, DC and Battery Operated. Approved for Travel. 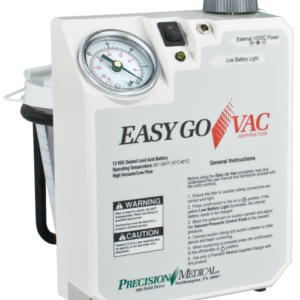 The PM65 EasyGO VAC Suction Unit is a high-performance unit, uses a standard 800cc Canister, and has an internal battery that allows up to 1.5 hours of runtime. Includes Unit, carry bag, AC power supply and cord, DC power cord, patient suction tubing, suction canister and user manual. AC, DC and Battery Operated. 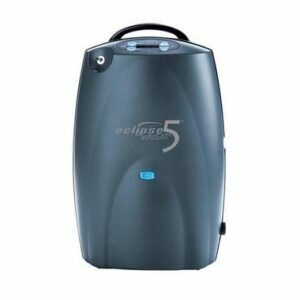 The SeQual Eclipse 5 with AutoSat Portable Oxygen Concentrator is not only proven to be reliable, and durable, is also a single-oxygen solution with 24/7 capabilities. Includes 2 batteries, transportation cart, accessory bag, AC and DC power supplies and cables, spare intake filter and user manual.